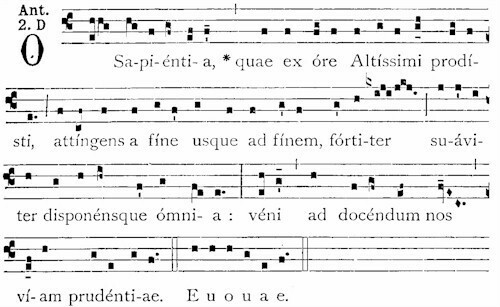 While the original texts of most of the “O Antiphons” were in Latin, here’s one that’s even more ancient (although Latin appropriated it later!). “Emmanuel” is a Hebrew word taken directly from the original text of Isaiah: “Therefore the Lord himself will give you a sign. 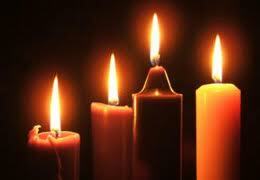 Look, the young woman is with child and shall bear a son, and shall name him Emmanuel” (Isaiah 7:14). As a teenager and young adult, I studied for eight years (high school and college) in the seminary, discerning a possible vocation to the priesthood. When I left the seminary after college, the military draft was still in place, and I was due to be drafted. Believing that I might have more control over matters if I simply enlisted before I could be drafted, I joined the Navy. No guarantees were made, and I had no idea where I might be sent after the conclusion of Basic Training. I was stunned and thrilled to find out that my first orders after boot camp were to go to Hebrew language school for a year; I was blessed to serve as a Hebrew linguist for the first couple of years in the Navy, largely on the island of Cyprus in the Mediterranean. At the beginning of the third chapter of Evangelii Gaudium, Pope Francis turns his attention to the nature of the Church. “The Church, as the agent of evangelization, is more than an organic and hierarchical institution; she is first and foremost a people advancing on its pilgrim way toward God. She is certainly a mystery rooted in the Trinity, yet she exists concretely in history as a people of pilgrims and evangelizers, transcending any institutional expression, however necessary” (#111). The relationship of the People with God always begins in God’s own initiative: “God, by his sheer grace, draws us to himself and makes us one with him” (#112). So, the fact that we proclaim that God is with us flows from our realization that God has CHOSEN to be with us in every human condition and need. We have not earned God’s presence, we have not somehow bargained God int it! The covenant is always God’s initiative; as Love itself, God extends and provides for all creation. “The salvation which God has wrought, and the Church joyfully proclaims, is for everyone. God has found a way to unite himself to every human being in every age” (#113). The implications of With-us-GOD are profound! As we know, “possessing God” and then waiting for the rapture at the end of time are not Catholic concepts! On the contrary, With-us-God “means that we are to be God’s leaven in the midst of humanity. . . . The Church must be a place of mercy freely given, where everyone can feel welcomed, loved, forgiven and encouraged to live the good life of the Gospel” (#114). 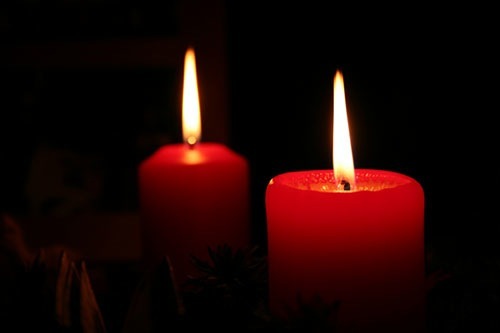 One this final evening before the Vigil of Christmas, what is the practical, pastoral impact of the realization in our own lives that God has truly come to us and remains with us? Am I, as an individual believer, and are we, as Church, a place where all people can find “mercy freely given”, universal welcome, love, forgiveness and encouragement? Or, am I — are we — perceived as people of rules and judgments who tend to exclude rather than include? This Christmas, as we celebrate the union and universal gift of God-for-all, may we re-dedicate ourselves to the liberating power of the joy of the Gospel! O Wisdom, O holy Word of God, you govern all creation with your strong yet gentle care. Come and show your people the way to salvation. Providentially, the theme of divine Wisdom seems particularly appropriate as we pick up where we left off with the Pope Apostolic Exhortation; namely, with a section entitled: “A Mission embodied within human limits.” We are a people constantly in seek of Wisdom, both as individuals and as a People of faith. This is actually the pope’s starting point. In paragraph #40, the pope refers to the entire Church as a missionary disciple, a disciple who “needs to grow in her interpretation of the revealed word and in her understanding of truth.” It is interesting to think of the entire People of God in this way: as a singular disciple on mission. Just as I, as an individual Christian disciple, need constantly to grow in understanding, so too does the entire Church. 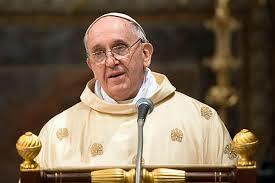 The Pope reminds those of us who serve in the ministry of theology: “It is the task of exegetes and theologians to help ‘the judgment of the Church to mature. '” This is a quote taken directly from the Second Vatican Council’s monumental Dogmatic Constitution on Divine Revelation (Dei Verbum, #12). Within the Church countless issues are being studied and reflected upon with great freedom. Differing currents of thought in philosophy, theology and pastoral practice, if open to being reconciled by the Spirit in respect and love, can enable the Church to grow, since all of the help to express more clearly the immense riches of God’s word. For those who long for a monolithic body of doctrine guarded by all and leaving no room for nuance, this might appear as undesirable and leading to confusion. But in fact such variety serves to bring out and develop different facets of the inexhaustible riches of the Gospel. This quest for expressing eternal truth in various ways in order to communicate, not only the words but the meaning of truth, continues when considering the various customs and practices of the Church, as a missionary disciple. In her ongoing discernment, the Church can also come to see that certain customs not directly connected to the heart of the Gospel, even some which have deep historical roots, are no longer properly understood and appreciated. Some of these customs may be beautiful, but they no longer serve as means of communicating the Gospel. We should not be afraid to re-examine them. . . . St. Thomas Aquinas pointed out that the precepts which Christ and the apostles gave to the people of God “are very few”. Citing Saint Augustine, he noted that the precepts subsequently enjoined by the Church should be insisted upon with moderation “so as not to burden the lives of the faithful” and make our religion of form of servitude, whereas “God’s mercy has willed that should be free.” This warning, issued many centuries ago, is most timely today. It ought to be one f the criteria to be taken into account in considering a reform of the Church her preaching would would enable it to reach everyone. 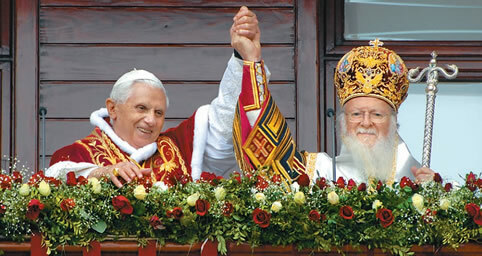 We have already seen in earlier sections of the document that the pope is committed to helping the Church recover her missionary purpose, and that this mission is not only to reach everyone in a general way, but in very concrete ways which are understandable to all people today, regardless of culture or history or age. Past ages found beautiful and creative ways of expressing eternal truths in their own day and time; we must not do the same for our own, and not merely try to repeat the brilliant work of the past which may no longer be capable of communicating truth as it once did. As we move more intently into our final preparations for celebrating the coming of Christ anew into our lives, how well do I express my faith to others in ways that are full of meaning, promise and hope? What about our parish: What customs do we continue to hold onto which — if we were truly honest with each other — no long seem to be capable of expressing the truth of our relationship with Christ and our responsibility to the world around us. Honestly review our lives as individuals and as parish, and then reflect: Do we unduly “burden” those around us? Do we have the courage to let go and to let God inspire us with Divine Wisdom in finding new ways to proclaim the Christ to the world. For those of us who serve as deacons, do we continue to grow, not only as disciples, but in our ministerial competence? Are we open to new ideas, even when those ideas may be challenging to our former ways of thought? “O Wisdom” is a title given to Christ today; may our own relationship with Wisdom give us the freedom and courage to find new ways of sharing God’s truth. 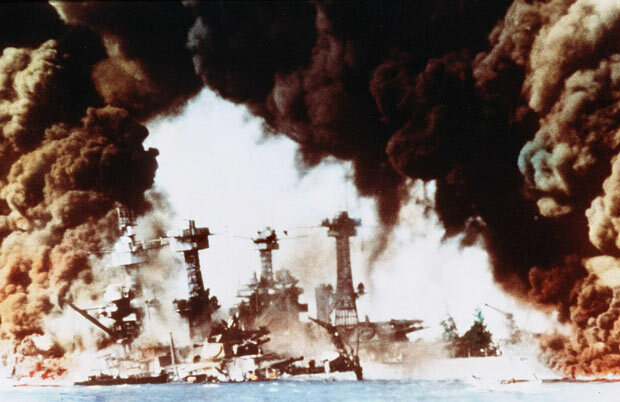 7 December 1941. Seventy-two years since that particular “Day of Infamy.” World War II had, of course, begun years earlier. By the time it ended, at least 70 million people were dead. Pope John Paul II, in his 2004 Message for the World Day of Peace, referred to the Second World War as “an abyss of violence, destruction and death unlike anything previously known.” How does a world recover from such madness? For those of us who were born following the War, we have lived with its effects our whole lives, even though specific memories of the War continue to fade with the passing of the World War II generation. We feel we must disagree with those prophets of gloom, who are always forecasting disaster, as though the end of the world were at hand. In the present order of things, Divine Providence is leading us to a new order of human relations which, by men’s own efforts and even beyond their very expectations, are directed toward the fulfillment of God’s superior and inscrutable designs. And everything, even human differences, leads to the greater good of the Church. And now We come to the high point of Our message: Negatively, first: the words which you expect from Us and which We cannot pronounce without full awareness of their gravity and solemnity: Never one against the other, never, never again. Was it not principally for this purpose that the United Nations came into being: against war and for peace? Listen to the clear words of a great man, the late John Kennedy [himself a veteran of World War II], who declared four years ago: “Mankind must put an end to war, or war will put an end to mankind.” Long discourses are not necessary to proclaim the supreme goal of your institution. It is enough to remember that the blood of millions of men, numberless and unprecedented sufferings, useless slaughter and frightful ruin are the sanction of the covenant which unites you, in a solemn pledge which must change the future history of the world No more war, war never again. It is peace, peace which must guide the destinies of peoples and of all mankind. What is particularly telling is the fact that when Pope Paul returned to Rome from this trip, he went immediately to the St. Peter’s and shared his insights with the assembled Council Fathers who, in their own turn, adopted the pope’s message as their own. They were in the midst of their own work on their capstone document, Gaudium et spes, “The Pastoral Constitution on the Church in the Modern World. 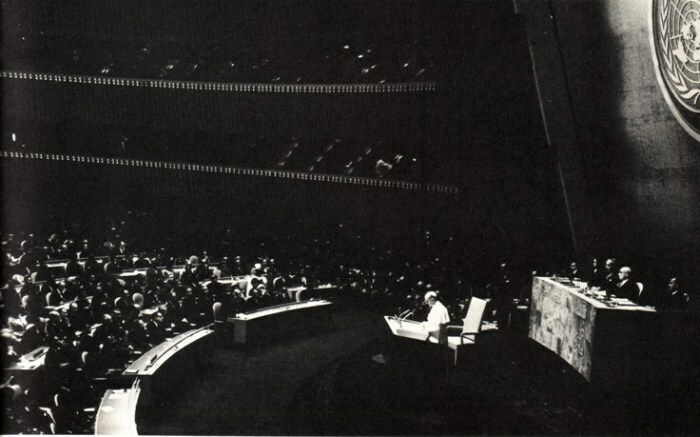 In particular, they began working on the section dealing with war and peace, incorporating the insights of Pope John XXIII’s Pacem in Terris and Pope Paul’s speech to the UN. No more war, war never again! As we remember the personal, national and global tragedies of the Second World War, may we this Advent renew our commitment and preparation for the new order of human relations foreseen by Pope John. May we, like Mary pregnant with the Christ, work to bring Christ and his Gospel to the world in the real, concrete terms envisioned by the Council and now renewed for us again by the words and deeds of Pope Francis. Pope Francis has become known since his election for many things, but not the least of these are his homilies. Whether at the chapel at the Casa Santa Marta, at Lampedusa, at World Youth Day in Rio, or in St. Peter’s, his direct, engaging style is a superb model for all preachers. 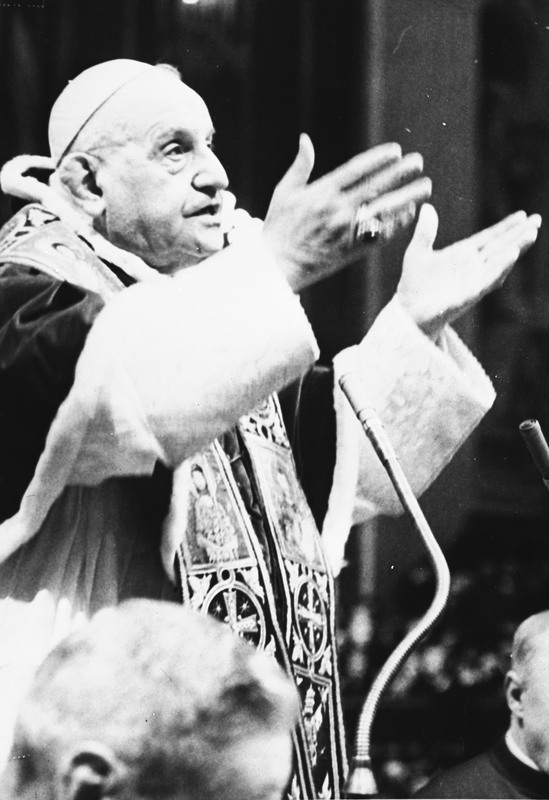 As we continue our stroll through his Apostolic Exhortation Evangelii Gaudium (EG), he begins to offer some specific ideas about HOW we communicate the “joy of the Gospel.” As Pope John XXIII remarked in his opening address to the bishops at Vatican II in 1962, “The deposit of the faith is one thing. . . how it is expressed is another.” Once again, we find Francis echoing John. Pastoral ministry in a missionary style is not obsessed with the disjointed transmission of a multitude of doctrines to be insistently imposed. When we adopt a pastoral goal and a missionary style which would actually reach everyone without exception or exclusion, the message has to concentrate on the essentials, on what is most beautiful, most grand, most appealing and at the same time most necessary (#35). Francis then discusses at some length the long-standing attitude of the Church that there is a hierarchy of truths. While “all revealed truths derive from the same divine source and are to be believed with the same faith, yet some of them are more important for giving direct expression to the heart of the Gospel. In this basic core, what shines forth is the beauty of the saving love of God made manifest in Jesus Christ who died and rose from the dead. The existence of a hierarchy of truths, he writes, “holds true as much for the dogmas of faith as for the whole corpus of the Church’s teaching, including her moral teaching” (#37). The pope then becomes a teacher of homiletics. While he will provide a more extensive “curriculum” later in the document, he introduces the subject here in paragraphs ##38-39. First, he writes, “in preaching the Gospel a fitting sense of proportion has to be maintained.” He brings up a very interesting approach: how often do we preach on certain subjects, perhaps to the exclusion of others? This struck home with me in a particular way. 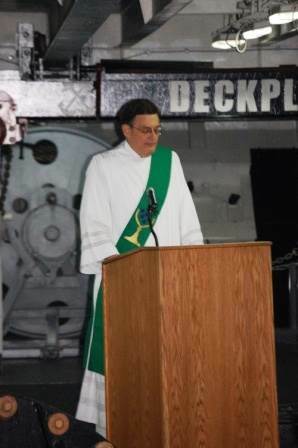 For example, if in the course of the liturgical year a parish priest [or deacon] speaks about temperance ten times but only mentions charity or justice two or three times, an imbalance results, and precisely those virtues which ought to be most present in preaching and catechesis are overlooked. The same thing happens when we speak more about law than about grace, more about the Church than about Christ, more about the Pope than about God’s word (#38). Francis is very concerned that “the integrity of the Gospel message must not be deformed. . . . Before all else, the Gospel invites us to respond to the God of love who saves us, to see God in others and to go forth from ourselves to seek the good others. Under no circumstances can this invitation be obscured” (#39)! Do I see pastoral ministry in a missionary key? How faithful have I been in proclaiming the Gospel with balance and integrity? While this section has clear resonance for the ordained who preach in the midst of our assemblies on a regular basis, it applies to each of us as disciples as well. When we’re “preaching” about our faith at work, in school, at home, do we do so in a balanced way? If we completely ignore our relationship with God in the “secular” aspects of of lives, what does THAT say about the importance of the relationship? Does that kind of compartmentalization also “deform” (to use the pope’s word) the integrity of the Gospel? Do we have pet opinions about certain church teachings that are the only things we want to work on or to be profess? How might I become more balanced and integrated in my own mission territory? 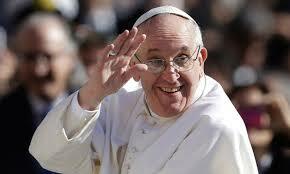 Every page of Evangelii Gaudium brings fresh insights into the road map being sketched by Pope Francis. As we continue deeper into Chapter One, we come to a section entitled “Pastoral Activity and Conversion,” which takes us from paragraphs 25 to 33. In these few paragraphs, however, I think we see the seeds of the institutional reform the Pope is undertaking. In my opinion, the structural reforms being suggested here might wind up being the very heart of the document itself. The pope’s humor begins the section. “I am aware that nowadays documents do not arouse the same interest as in the past and that they are quickly forgotten.” But he’s going write one anyway; why? “I want to emphasize that what I am trying to express here has a programmatic significance and important consequences” (#25). It seems clear that the pope is not interested in writing something that only scholars will read in a theoretical context and then put back on the dusty shelf. This document is different: it is a call to action that he hopes will affect every person, parish, diocese, religious community and even his own ministry as successor to Peter. It is supposed to be a PRACTICAL document, one that could used to develop new structures, new programs, new pastoral activities. I hope that all communities will devote the necessary effort to advancing along the path of a pastoral and missionary conversion which cannot leave things as they presently are. ‘Mere administration’ can no longer be enough. Throughout the world, let us be ‘permanently in a state of mission’. This citation is from the so-called “Aparecida Document”, which was the closing statement of the last gathering of the bishops of Latin America, held in Brazil in 2007, and in which then-Cardinal Bergoglio played a major role. Some have already referred to this Document as a blueprint for Pope Francis’ papacy; you may read it all here. For Pope Francis, all renewal in the Church must be assessed by how well (or not) the Church is able to evangelize: that’s the standard. If something helps us to be better evangelizers, fine; if it is holding us back from evangelizing, or is distorting the message, it must be abandoned. “I dream of a ‘missionary option’, that is, a missionary impulse capable of transforming everything…. The renewal of structures demanded by pastoral conversion can only be understood in this light: as part of an effort to make them more mission-oriented, to make ordinary pastoral activity on every level more inclusive and open, to inspire in pastoral workers a constant desire to go forth and in this way to elicit a positive response for all those whom Jesus summons to friendship with himself” (#27). The Pope applies this same standard to “other Church institutions, basic communities and small communities, movements, and forms of association”, and he also challenges them all to stay connected with the local parish and to be part of the local community. Frequently certain movements have become divisive and present themselves as alternatives to a local parish; the pope is saying this must not happen. He then turns to the renewal of dioceses and their bishops — always with the language of pastoral, evangelizing mission. However, this section ends with what I believe may wind up being one of the most significant parts of the entire document; namely, the pope’s comments on his own ministry. In paragraph #32, he writes, “Since I am called to put into practice what I ask of others, I too must think about a conversion of the papacy.” To understand what is going on here in proper context, it is useful to remember two other documents. First, Pope John Paul II’s encyclical, Ut Unum Sint (“That All May Be One”), promulgated in 1995; you can read it all here. 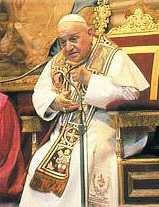 In that document, John Paul asked theologians, bishops and others for help in finding “a way of exercising the primacy which, while in no way renouncing what is essential to its mission, is nonetheless open to a new situation.” Unfortunately, Pope Francis acknowledges, “we have made little progress in this regard.” Retired San Francisco Archbishop John Quinn has written and spoken extensively in response to this call, on how more ancient patterns of church governance might be adapted to contemporary needs, but in practical terms, little has been done to implement such changes. You can find Archbishop Quinn’s books here and here. The pope, however, suggests that movement may lie ahead. He cites Vatican II’s recognition of the various regional episcopal conferences, but acknowledges that things have not gone far enough in that regard. “[A] juridical status of episcopal conferences which would see them as subjects of specific attributions, including genuine doctrinal authority, has not yet been sufficiently elaborated. Excessive centralization, rather than proving helpful, complicates he Church’s life and her missionary outreach.” Here’s where the second text may be helpful. In 1988, Pope John Paul II promulgated a document entitled Apostolos Suos “On the Theological and Juridical Nature of Episcopal Conferences.” Read it here. 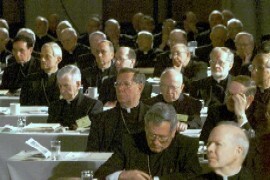 In this document, the pope directs that an episcopal conference can only issue genuine doctrinal statements of magisterial authority if all the bishops are unanimous in their support of such teaching; if at least 2/3 of the bishops are in support, the the matter is to be referred to the Holy See for promulgation. This is the very document that would have to be addressed as the pope and his advisors initiate renewal of the structures of the Holy See, and as he proceeds with the “sound decentralization” he spoke of in the Introduction to this text. Imagine, for example, if matters related to episcopal appointments were handled — as they were until the 19th Century — by the local churches? How might liturgical matters be handled in the future? This is a classic reflection on the nature of collegiality and subsidiarity within the Church. What are those matters which are best handled at a national, regional, diocesan or even parish level, and which are those matters best dealt with by the Holy See? It is quite clear that Pope Francis is committed, and is committing all church structures, to a reform that will prune away those aspects which impede the church’s mission of evangelization. It will be interesting and exciting to see how matters develop! Personally, I find it very helpful to be reminded that it all boils down to mission, to evangelization. Starting at a personal level, I must always be ready to spread the Good News; being a part of the Church is about being part of a People who are dedicated to the service of others in THEIR need, not my own. As an “evangelizing community”, our parishes are also subject to conversion and renewal with one view in mind: the care of others in the name of Christ. We don’t exist for ourselves but for others. 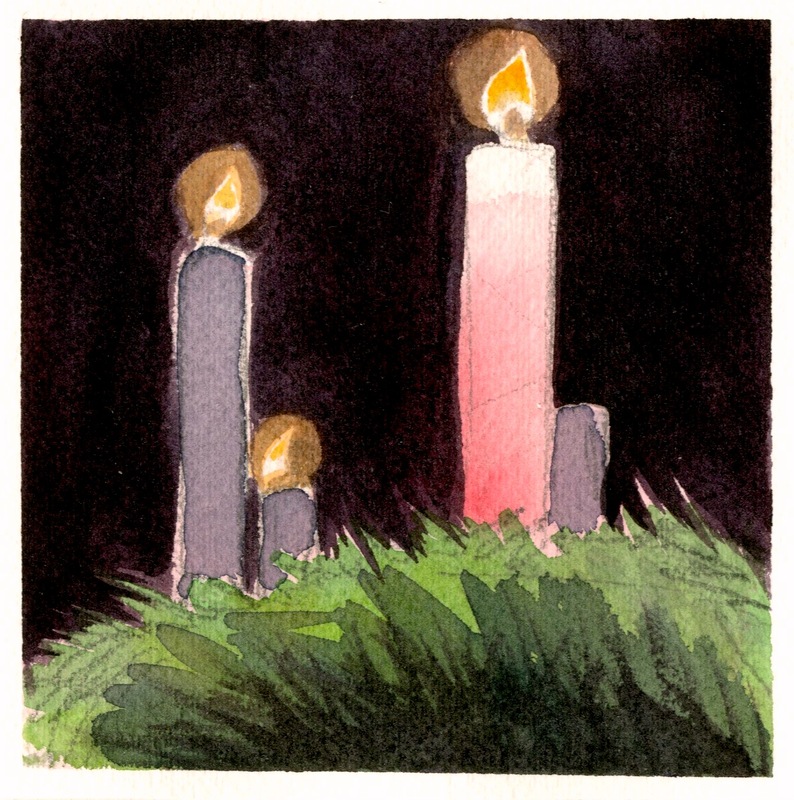 During this Advent, how can I and how can we better streamline ourselves for mission? What do we need to reform in our personal and church lives to be evangelizers who take the initiative, are involved and supportive of people in their need, are patient and fruitful, and full of joy? FOCUS ON THE MISSION! That’s the title of the first chapter of Pope Francis’ Apostolic Exhortation Evangelii Gaudium (EG): “The Church’s Missionary Transformation”. The title alone is pregnant with possibility. The chapter covers paragraphs 19-49. The overarching theme is MISSION — being sent out. While the Pope begins with the Great Commission of the apostles to “go and make disciples of all nations, baptizing them in the name of the Father and of the Son and of the Holy Spirit,” he also cites the calls of Abraham, Moses and Jeremiah. He quickly links this missionary spirit with the JOY that goes along with it. He recalls the joy of the returning 72 disciples, the joy of the first converts on Pentecost, and the joy of Jesus that God has revealed God’s very self to the poor and little ones. This missionary attitude never ends: “Once the seed has been sown in one place, Jesus does not stay behind to explain things or to perform more signs; the Spirit moves him to go forth to other towns” (#21). No one is to be excluded from the missionary activity and concern of the Church: “In fidelity to the example of the Master, it is vitally important for the Church today to go forth and preach the Gospel to all: to all places, on all occasions, without hesitation, reluctance or fear. The joy of the Gospel is for all people: no one can be excluded” (#23). He recalls this non-exclusionary stance by recalling the angel’s proclamation to the shepherds in Bethlehem (“a great joy which will come to all the people”) all the way to the book of Revelation: “an eternal Gospel to proclaim to those who dwell on earth, to every nation and tongue and tribe and people” (Rev 14:6). The pope then lays out four characteristics of this universal missionary task, and they are all, not surprisingly, eminently practical in approach. Evangelizers know that God has taken the initiative already, so we are simply following that lead by going out to others. As he has already said repeatedly, the pope does not want people waiting in church for people to come in; just as God already ran out to meet us, so too we are to run out to meet others where they are. It cares for the grain and does not grow impatient at the weeds. The sower, when he sees weeds sprouting among the grain does not grumble or overreact. He or she finds a way to let the word take flesh in a particular situation and bear fruits of new life, however, imperfect or incomplete these may appear. The disciple is ready to put his or her whole life on the line, even to accepting martyrdom, in bearing witness to Jesus Christ, yet the goal is not to make enemies but to see God’s word accepted and its capacity for liberation and renewal revealed. I’m going to stop here now before getting into the specific structural ideas the pope presents next. 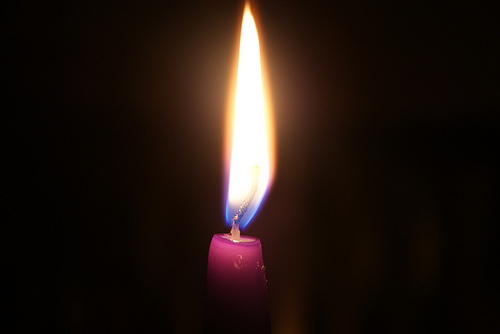 I think it would be a mistake not to pause and reflect here, especially as we begin the season of Advent. 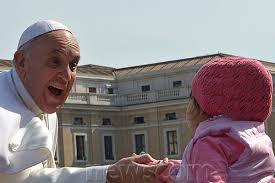 Can we can find ourselves on this road map of joyful evangelization the pope is describing? I ask myself: Am I truly missionary? Do I leave behind my own “comfort zones”? Do I focus on inclusion, or exclusion? Am I a risk-taker, especially with regard to what the Pope calls “the unruly freedom of the world”? What about those four additional characteristics? All of these are characteristics of every evangelizing community. Are they evident in ourselves and in our own local parishes and communities? What would it take to make them even more readily present, active and apparent? 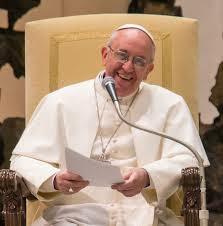 At the end of the Introduction to Evangelii Gaudium (EG), shortly after he writes that he will NOT be addressing every possible issue (since much of that will be the responsibility of diocesan bishops in their own territories), Pope Francis outlines “some guidelines which can encourage and guide the whole Church in a new phase of evangelization, one marked by enthusiasm and vitality. 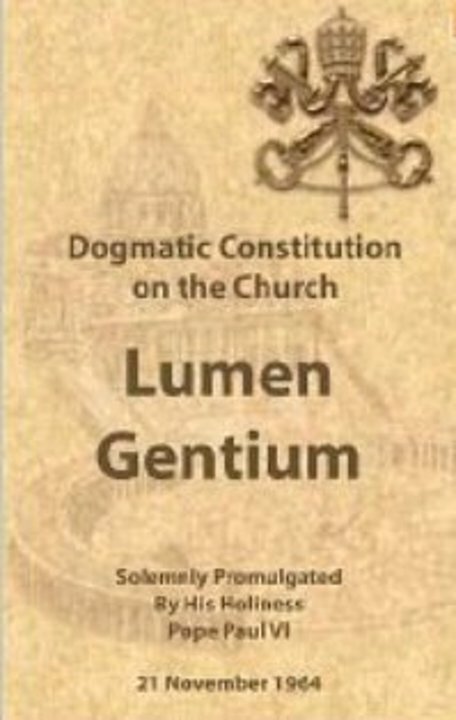 In this context, and on the basis of the teaching of the Dogmatic Constitution Lumen Gentium [one of the foundational texts of the Second Vatican Council], I have decided, among other themes, to discuss at length the following questions” (#17). Let’s consider this a bit more closely. First, the issues selected by the pope are ones that he sees as universal and applicable throughout the entire Church (since in the previous paragraph he had already ruled out regional or diocesan matters). Second, he is launching a new movement in the mission of evangelization. Many people were somewhat concerned when Pope Benedict declared a year focused on the New Evangelization, not because it wasn’t needed, but because it could lead some people to conclude (erroneously, of course!) that the work of evangelization would “end” with the end of the Year! 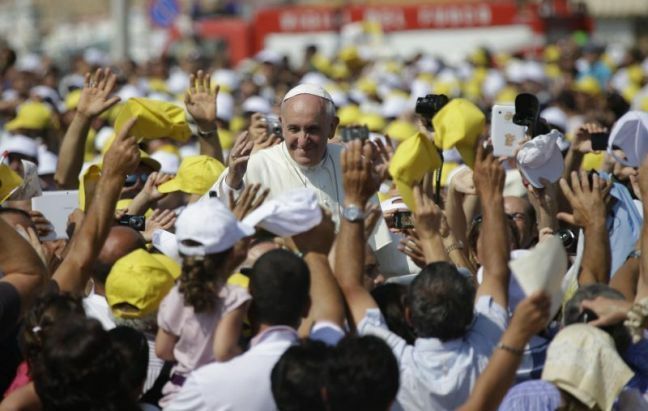 Pope Francis is not only correcting that misperception, but going a huge step further. He is taking us even further and opening a whole new portal of evangelization, and this new phase is to be characterized by enthusiasm and vitality. 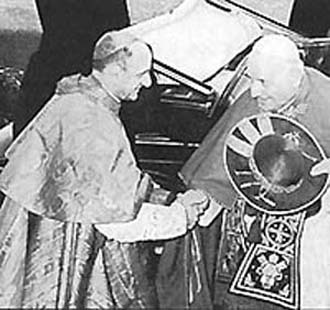 Third, he is grounding everything in the teaching of the Second Vatican Council, especially the Dogmatic Constitution on the Church, Lumen gentium. This in an interesting and significant choice. One could reasonably assume that he would have chosen the Pastoral Constitution on the Church in the Modern World, Gaudium et spes, since its focus is on the relationship of the Church to contemporary society. Instead, he is focusing on the fundamental conciliar document which deals directly and substantively with the inner nature of the Church herself. With this in mind, let’s look at the seven questions the pope is going to emphasize with the rest of the document. 7. The spiritual motivations for mission. Pope Francis writes that he is going to detail his thoughts on these issues not as a kind of theological treatise but to underscore their importance to the Church and the Church’s mission of evangelization today. Furthermore, he sees them as a way to give a definite shape to this new chapter of the evangelical mission “which I ask you to adopt in every activity which you undertake [emphasis in the original]” (#18). What a great and challenging message for all Christians, and in a particular way, for those of us who serve in any kind of ministry in and for the Church in the world! 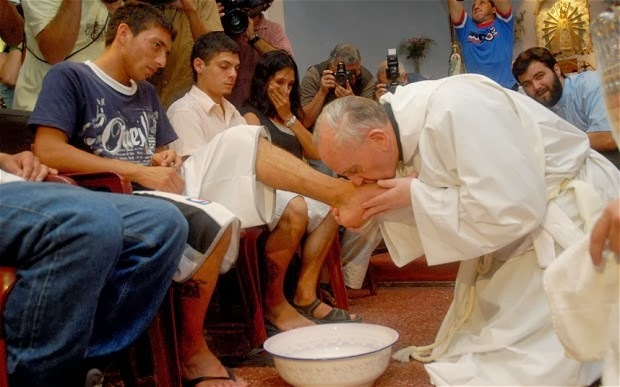 These seven points can serve as a disciple-evangelist “checklist” of sorts, and as we continue this reflection, we’ll see what the pope has in mind for each of us.